Even in this corner of the world, where football (or soccer, as some are wont to call it!) is not quite as popular as it is elsewhere, it cannot fail to have escaped your attention that the European Championships are being held over in France this June and July. If you're a fan of any of the competing 24 nations and are living over here in New Zealand, you've surely had to deal with the odd 4 a.m. kick off to cheer your nation on. 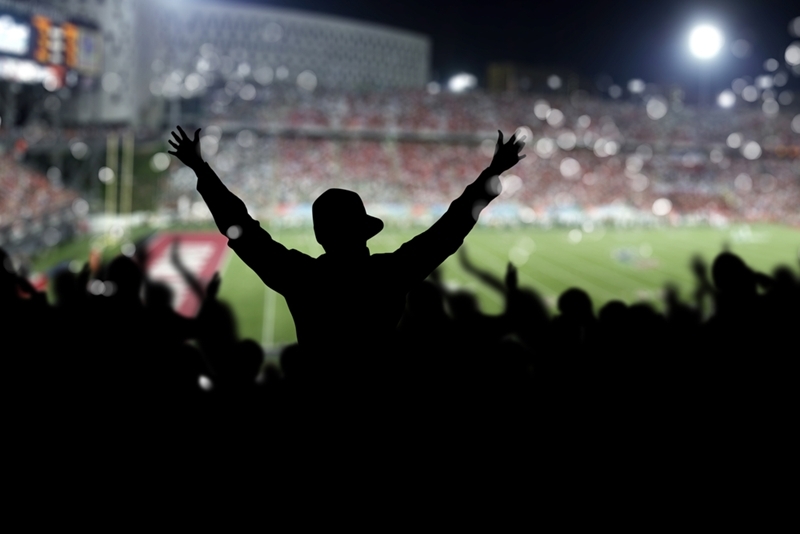 Bleary-eyed and full of coffee, supporting your team can be a tough business in this country, but, in the forthcoming tournament in 2020, the viewing experience could be heightened thanks the the first-ever use of an LED sports pitch lighting system. Holland's largest stadium, the Amsterdam ArenA, is set to be given a lighting upgrade in time for Euro 2020, with the idea that it will markedly improve the visual experience both for those at the venues itself and people watching at home on a HD television. The project will be completed using lighting technology provided by Dutch electrical firm Philips, using a mixture of ArenaVision LED pitch lighting with movable dynamic colour spots, according to an article appearing in Tech Week Europe. The Amsterdam ArenA is set to be given a lighting upgrade in time for Euro 2020. This is the first time that such a lighting solution has been used in a sports stadium as currently, standard floodlights are used to illuminate the stands and field of play. Philips themselves are no strangers to lighting stadiums, with the company providing the bulbs for some 65 per cent of venues used for world-class sporting events! Though traditional lamps are currently used in stadium lighting, hopes are high for ArenaVision, and it is thought that other stadiums will soon follow suit if the Amsterdam ArenA's installation is deemed a success. Why is ArenaVision better than standard stadium lighting? The ArenaVision system is designed to better support high-definition and super slow-motion replays, eradicating the flicker that can occur under traditional floodlights. These innovative lights have the ability to capture absolutely everything that is going on in the stadium in crisp focus, from 35-yard free kicks that rock the crossbar, to the smallest blade of grass cut loose in a well-timed sliding tackle. "The combination of our ArenaVision LED pitch lighting system and movable colour spots creates a tremendous show effect," says Frank van der Vloed, General Manager of Philips Lighting Benelux, in a press release. Euro 2020 will be the most beautifully lit football tournament of all time. "We are proud of this collaboration and will jointly create a global showcase of enhanced experience, sustainability and flexibility of the overall lighting system that paves the way for a new standard for pitch lighting." Why not take a look at our sports lighting solutions to find out if anything suits your requirements? What’s the deal with downlights?Could smart lighting lead to smart cities?